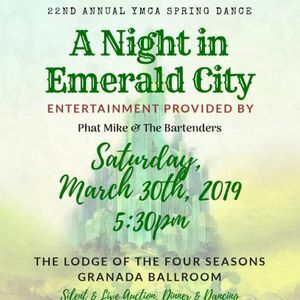 Tri-County YMCA 22 ANNUAL Spring Dance to benefit underprivileged children in the Lake Ozark area !!!! Great cars with a great Wizard of Oz Emerald City theme !!!!! You can contact Madison Shearer at the Y for ticket prices and table confirmations come on out for a great cause open to the public you do not have to be a business !